I used to think we needed to save the storage areas like the basement, attic and garage for last. But, I have been realizing that it’s helpful to at least get part of that area decluttered, so you have room to store things you find as you declutter. Plus it’s often easier to get rid of things in storage because you know it’s been a long time since you’ve used them. If you have to get rid of things to make room in your home, things in storage are less valuable and less used than things in your living room or kitchen. To keep yourself from going up and down the stairs as you declutter, make sure you have boxes for give away, keep, belonging to someone else and a bag for trash. First, go through things not in boxes. These things have not been stored properly and may not even be useful now. You didn’t care enough about the object to keep it free from dust. Do you really still need it in your home? Move on to the boxes not labeled. These are boxes you may not have opened for years. They are MISC. Go through them quickly getting rid of the obvious clutter. Consolidate what you can. Go through seasonal as you put away the decorations each time. You’ll find you may not need 8 boxes of Christmas decorations. Just think what you could store in that space that you may use more than once a year. Memorabilia is often the hardest. Photograph what you can. Or put them in scrapbooks. Decide how much of your present space you are willing to give to your past. 3 boxes? 5 boxes? Give yourself a limit. Keep a couple baby dresses, but not a whole wardrobe. Other children could be wearing them now if you give them away or sell them. Same with toys. You can hang memorabilia on walls. If it’s important to you, you may want to find a way to display it. If you are storing your grown children’s stuff, it’s time to pick up the phone and have them get their stuff, if possible. 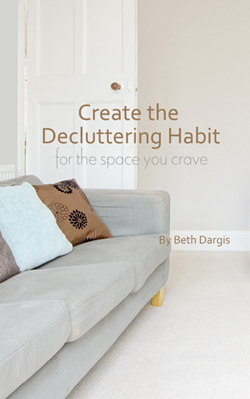 Don’t buy new storage boxes and shelving until you declutter. You may not need them after all. Label any boxes you are keeping and keep like together ie gardening, memorabilia, holiday, camping, clothes, and tools. I love using the basement as overflow storage. Things like cookie cutters, canning equipment and the yogurt maker can be stored there to free up room in the kitchen. 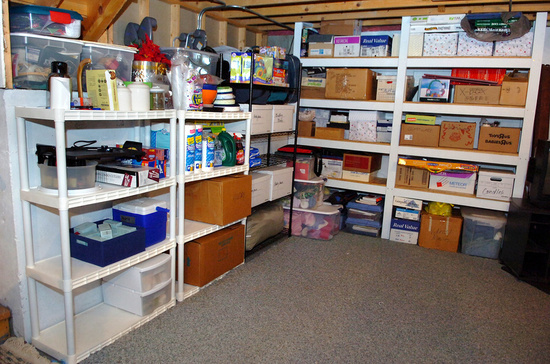 Craft supplies stored in the basement can bring room to an office. Out of season clothing can be stored to make room in your closet and dressers. 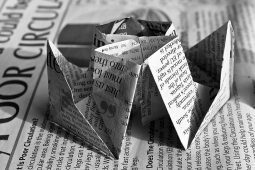 But you can only do that, if you have purged the storage area of clutter you don’t like, will never use and is not in good shape anymore. 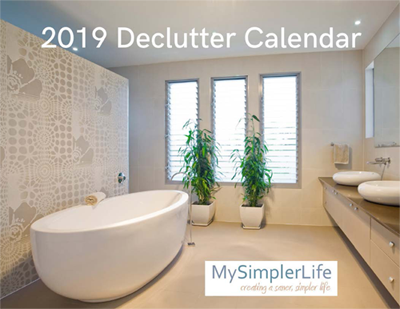 If you want more help with decluttering, join up with our next Declutter Group for instruction, motivation and accountability. I had never even thought to start with storage first! You’re right, it always gets saved for last. I think this is a really good idea as my husband and I are trying to simplify and consolidate what we own. I will often (inexplicably) have doubles of things in storage. Like, I found an extra colander in storage when we have one in the kitchen. So, it would get rid of obvious things like that and let me know what I had on hand before stepping into the rest of the house and thinking that I needed to go buy another extension cord (or whatever) when, all along, I had one out in the shed. It was just buried under five hundred pounds of junk. Very smart post. 😉 Thanks! I agree with Catie. Our storage in the basement is a complete disaster. I’ve started my decluttering in the kitchen this past week and moving more things to the basement. Very frustrated at this point because I’ll have to go through everything again once I get to the basement. So I may stop and get to decluttering and organizing the basement. Good idea! Our home does not have a basement? Any advice. YES! I have just come to the same conclusion. I have the main living areas and the master bedroom pretty straight, but the guest room, attic and basement are a disaster. I don’t have anywhere to put the things that I want to keep! So my main goal for 2012 is to get the two walk in closets in the basement cleaned out and organized. They were once a coal cellar and a root cellar, so they are big, but unfinished. Perfect for storage in bins on shelves. Honestly, I shouldn’t have left them for last, because I’ve moved the stack of ‘keep this’ boxes from place to place to place in the house in sheer frustration. In fact, most of the clutter in the guest room is actually NOT clutter – it’s unstored storage items. It will be nice to have a final place for those kinds of things (decor, camp gear, tools) that need to be kept, but not in the main rooms.